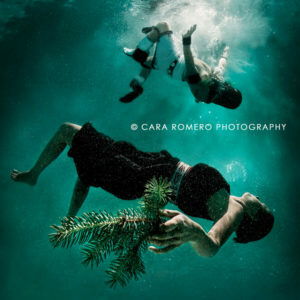 Cara Romero is a fine art photographer whose work reflects a diverse training in film, digital, fine art, journalism, editorial portraiture and commercial photography. Cara’s work can be found is several museum collections, including the Bristol Museum & Art Gallery. 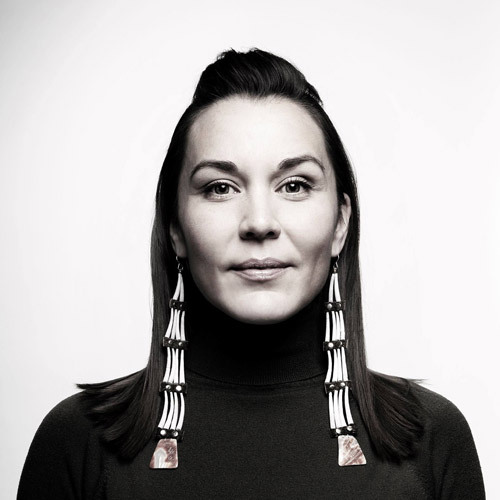 Cara has won numerous awards including ribbons at major art markets and the “Visions for the Future” award from the Native American Rights Fund. Raised on the Chemehuevi Valley Indian reservation along the California shoreline of Havasu Lake in the heart of the Mojave Desert, she now lives and works in Santa Fe, New Mexico with her husband celebrated Cochiti potter Diego Romero and their children. Cara Romero’s powerful portraits were featured prominently in our spring 2017 exhibition ‘We Are Native Women’, celebrating the strength and diversity of Native American women on the 400th anniversary of the death of Pocahontas. Cara Romero topped the line up of Indigenous artists featured in our 2016 photography exhibition STILL. In her recent series, ‘Water Memories’, a title suggestive of water’s chemistry and transformative abilities, Romero’s beautifully conceived photographs show an immersed environment where the Native American figures are portrayed under the surface, still and suspended in a drowned landscape. These breathtaking underwater images expose the fragile and essential relationship that exists between people, water and life. “‘Water Memories’ are photography dreamscapes dealing with Native American relationships to water, the forces of man and of Mother Nature. They are individual explorations of space, memory, and diverse Indigenous narratives that are both terrifying and peaceful.” C.R. The ‘Water Memories’ triptych was acquired by The Bristol Museum and Art Gallery for their permanent collection. 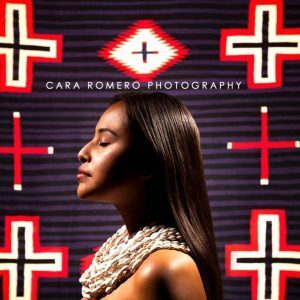 Cara Romero is a born visual storyteller with a distinctive lens shaped by years of study, a visceral Indigenous and non-Indigenous cultural memory, collective history, her own personal experience and a compassionate and keen sense of visual narrativity. 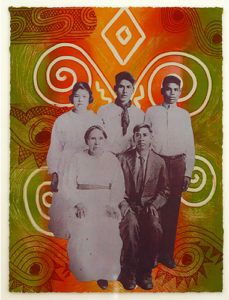 Romero is the proud mother of two boys, Paris and Noel, the wife of the dynamic and highly regarded contemporary Pueblo artist Diego Romero, and the daughter of a Chemehuevi father and a German-Irish mother. Romero studied photography at both the Institute of American Indian Arts in Santa Fe, New Mexico and Oklahoma State University and studied cultural anthropology at the University of Houston. Her photography – a mélange of fine art and documentary-style – is a sometimes whimsical, often complex interplay of social commentary, adaptation and examination of modern culture with a distinctly modern Indigenous world view. It is multi-layered, meant to be experienced from a multi-verse of perspectives and invites viewers – mainstream and connoisseurs of Indian art alike – to enter into its nuanced visual architecture with an open mind, and a willingness to abandon pre-conceived notions about Native art, culture, and peoples. For the ‘CAPTURED‘ exhibition at Rainmaker Gallery in 2015 Cara created both intimate portraits and playful reconstructions of iconic masterworks, featuring performance art hero ‘Buffalo Man‘. Iconic photographic images of Native Americans that pervade mainstream fine art collections have been captured mostly by non-Natives. 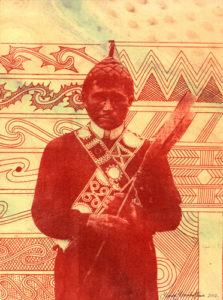 Today, more Native Peoples are crossing the “digital divide”, as well as, socio-economic gaps to begin mastering the techniques of film and digital media. And here is a revolutionary show, “Captured” that brings together a powerhouse of indigenous photographers creating works that flip the stereotypical images on their heads. They are authentic, diverse, and offer an unparalleled glimpse into Native stories and lives of Native peoples. There is a certain trust that is evoked between the subjects and photographers. The subjects are safe to express themselves and not be exploited. It is a subtly that is hard to articulate, but can be observed ever so powerfully in these photographs.